If you have waking up feeling more tired when you wake up than when you go bed, or end up waking up with various aches or pains, or your mattresses has more lumps than your aunt's gravy then you know it is time to purchase a new mattress. But how do you dispose of your old lumpy mattress? New York City including the borough of Queens, has certain rules and regulations regarding the disposal of mattresses. One of those rules is that all mattresses be enclosed in a plastic bag to help prevent the spread of bed bugs throughout the city. They also require that you make an appointment if you want the city to pick up that old mattress that is larger than 3 feet by 4 feet and you cannot dispose of the mattress until your appointment date, which can cause you a problem if your new mattress arrives before you can dispose of the old mattress. In addition if you live in a walk up, removing that mattress and carrying it down one or more flights of stairs can be a back breaking chore. However, there is an easy way to dispose of that old mattress. 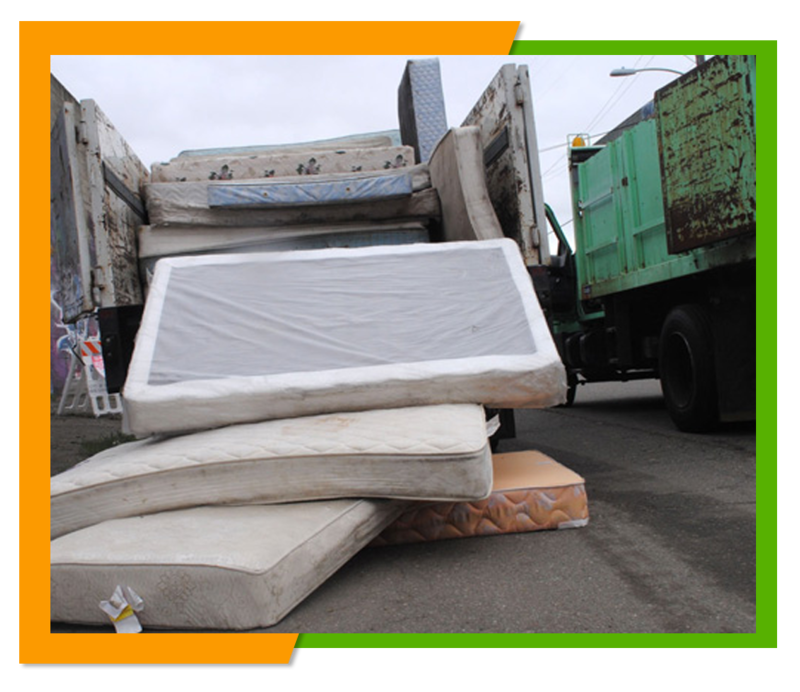 Disposing of that mattress can be as simple as making one phone call to Flat Rate Junk Removal and setting up an appointment to have that mattress or those mattresses removed on a day and at a time convenient to you. We even provide same day service so you can have your old mattress removed before your new one arrives. Once we arrive all you need to do is point out the mattresses you want to have removed and we will bag those mattresses, load them onto our truck and dispose of them for you. In addition, to those mattresses we will also remove your old box springs or any other junk you may have that you want to get rid of. At Flat Rate Junk Removal we want to ensure that you know exactly what we charge before you hire our services, which is why we offer a price list for single items right here on our website at www.flatrate-junkremoval.com We also are more than happy to give you an estimate for mixed loads and large loads based on our flat rate prices. We will send out one of our workers to look over what you need to have disposed of and give you an estimate based on your individual need. Since we serve a flat rate we will take any size load you may have. 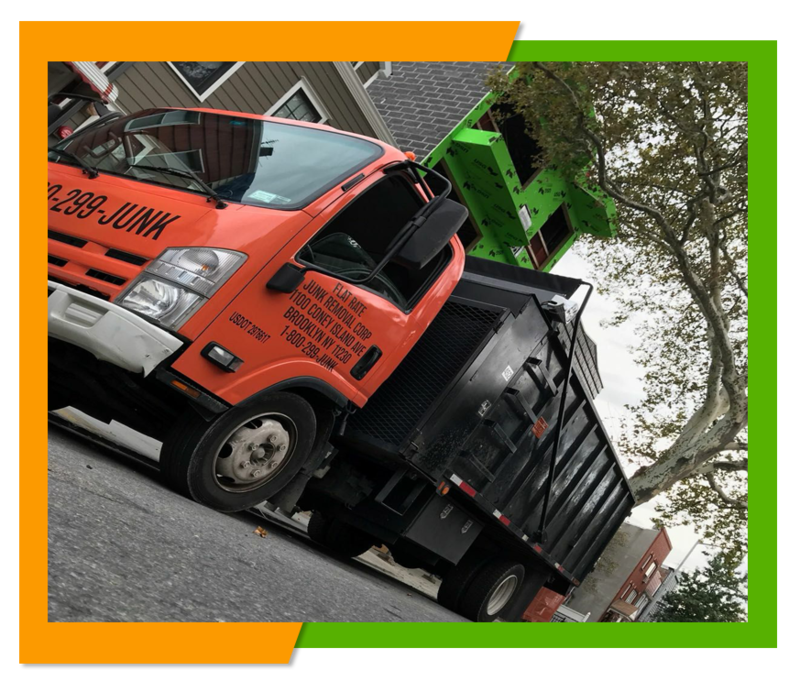 We offer a number of different junk removal services you can learn more about our other junk services by browsing our website. Or you can make an appointment for a free estimate or to set up a mattress or other junk removal appointment by calling us at 1-800-299-5865 and we will be happy to be of assistance to you.